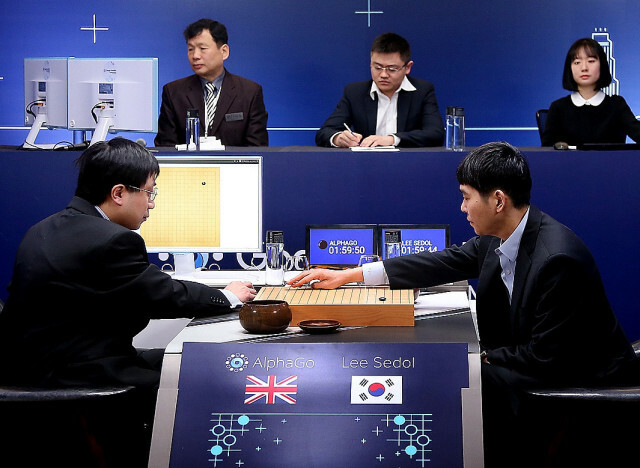 Artificial intelligence took yet another victory during its third round against legendary Go grandmaster Lee Se-dol. Even though AlphaGo’s DeepMind origins and capacity were revealed during the first round, it seems like a lot of people do not fully comprehend AlphaGo. Some showed disappointment as if Lee Se-dol, who owns the highest possible ranking of 9-dan, lacked skill or made a mistake. Others even criticized him for not being in his best condition. At times, it has even seemed like Lee Se-dol might agree with them. As much as I can see where his critics are coming from, such thoughts are far from the truth. In fact, Lee Se-dol was great. The Go Grandmaster’s amazing display of skill simply made AlphaGo look more impressive. If AlphaGo had faced an ordinary Go professional instead of Lee Se-dol, no one would have marveled at this amazing accomplishment for artificial intelligence. As I have pointed out in my previous pieces, AlphaGo is more like an artificial intelligence created to win the game of Go, rather than a program that runs and plays Go. AlphaGo contains algorithmic knowledge that allows it to beat virtually anyone, no matter how skillful they are, and so long as its computing capacity is maximized. If AlphaGo faces one of the best players, it undergoes an intensive computing process to find the best move possible, and it will eventually find it. In other words, AlphaGo plays better against a stronger opponent. If AlphaGo were to play a lesser player, it would only display a mediocre level of skill. AlphaGo does not learn and play according to the traditional Go training a human being may undertake. Such a process entails developing strategy, intuition in in-game battles, understanding life and death moments, and reading the general situation. AlphaGo bases its next move on countless past real-life match histories and an astronomical number of matches among various artificial intelligence in order to calculate which move has the highest probability of victory in any given situation. 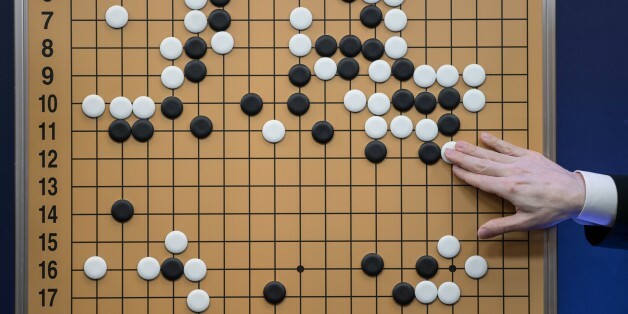 You may say that rather than simply playing Go, Google DeepMind’s AlphaGo is a program that utilizes results of statistical analysis in order make the best decision. Therefore, if AlphaGo were to play a lesser player, it would only display a mediocre level of skill, as it would still have a very high probability of winning the match. If calculations show a vast number of moves that all show a winning probability of 100 percent, it may pose a challenge for the AI to distinguish which move is actually the best. Google DeepMind developed AlphaGo, but could not demonstrate its maximum potential by themselves. In order for AlphaGo to realize its maximum potential, it required a Go professional who could demonstrate great skill. Google DeepMind CEO Demis Hassabis has revealed that AlphaGo needed to reach its maximum limit for these matches. This means Lee Se-dol demonstrated the strongest human skill AlphaGo has faced. As a result, AlphaGo was able to demonstrate its great potential. In the face of its performance, many Go professionals were left awestruck. AlphaGo is not an artificial intelligence that a Go professional can beat by simply trying their best. In order to beat AlphaGo, one must be able to calculate probability of winning the match as AlphaGo does. Humans cannot weigh or measure length more accurately by intuition than a scale or a ruler. Lee Se-dol need not be discouraged. He does not need to humble himself and emphasize his defeat as “Lee Se-dol’s defeat and not a defeat for mankind.” It is mankind’s loss and it is because Go has become a game that is no longer immune to artificial intelligence. Lee Se-dol has transformed this match between the human brain and artificial intelligence into a great and valuable learning opportunity. As we face the emerging era of artificial intelligence, he provided genuine insight into what humans must do and what steps we must take in the future. Lee Se-dol deserves a round of applause from all of us. This post first appeared on HuffPost Korea. It has been translated into English and edited for clarity.